At 9am on Saturday 5th September, Mark Gunton and Chris Crean, from Moseley Road Baths to deliver copies of the Pool of Memories book. 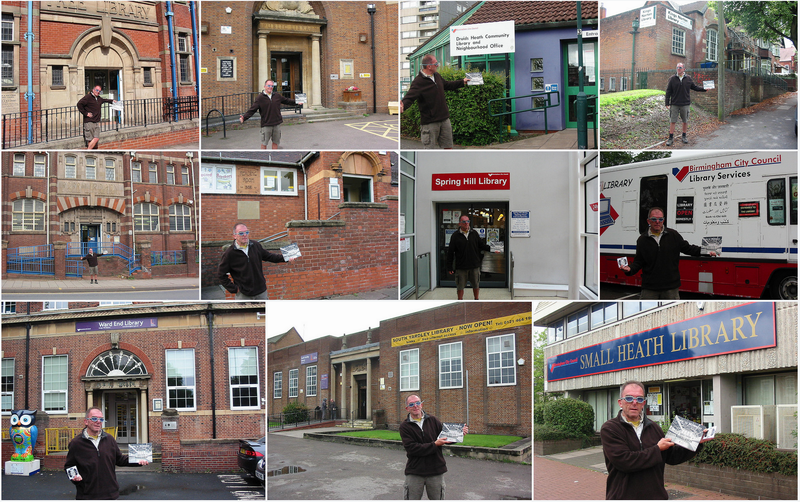 Pictures were taken at each library on the 42 miles and 4 hour round trip. Thank you to all the library managers and staff who accepted our donations.